Glamorama! Put on your best outfit! 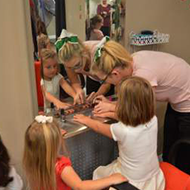 Get a glamorous makeover in our kids’ salon. Then walk down our lighted runway. 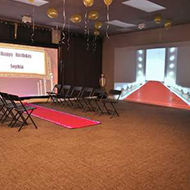 Your child and guests will feel like real fashion models when the parent “paparazzi” begin snapping their photos. Plus, everyone will love the amazing wall light show. 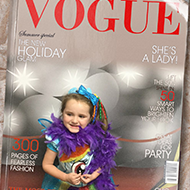 Afterward, get your personalized picture on the cover of your own fashion magazine! 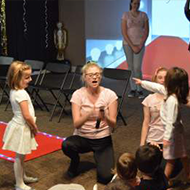 For an additional fee and more kids entertainment, balloon artists, jugglers, or face painters can also entertain your party guests at any of our kid’s birthday parties. 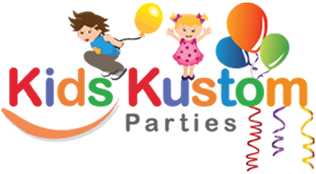 Your guests can also enjoy our popcorn machine or snow cone maker for an additional fee or a swap item. The origin of fashion shows remains unclear, but most likely began with fashion parades in Paris in the 19th century. In the 20th century, American retailers brought the idea to the United States.